During a bilateral meeting, Trump told Kim: "I know we'll have tremendous success together and we'll solve a big problem — a big dilemma — that until this point has been unable to be solved, and working together we'll get it taken care of." After briefly shaking hands and taking a photo side-by-side, the two leaders moved to another room, where they sat and made brief statements for the press. For his part, the North Korean leader said, "It was not easy to get here. The past worked as fetters on our limbs, and the old prejudices and practices worked as obstacles on our way forward. But we overcame all of them, and we are here today," according to a translation provided by the White House. 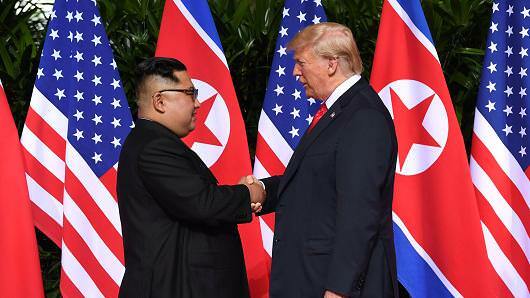 After hearing Kim's response, Trump added: "We will solve it, we will be successful, and I look forward to working on it with you. It will be done. It was the first time that sitting leaders of the countries have met, and it came after years of bluster and threats from Pyongyang — and from Trump — that have raised fears of war. 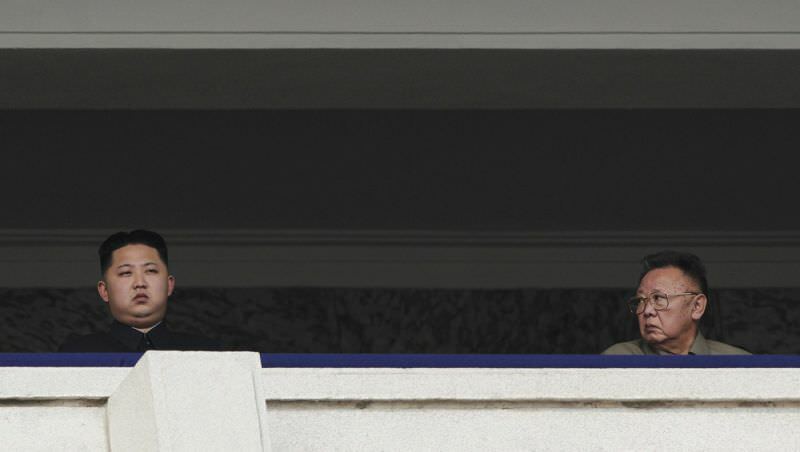 Of note, many analysts have argued that any recent U.S. leader who had wanted to meet with Kim or his father before him could have done so, because North Korea sought the legitimization of such an event. Trump is giving Kim's regime that opportunity, but the U.S. team has also said it is resolute in its goal for Tuesday's summit: North Korea's total and verifiable denuclearization. American officials have dangled relief from stringent international sanctions or even economic aid if the hermit regime were to acquiesce. Beyond those benefits, North Korea is understood to want guarantees about the future of its autocratic regime and the security of its borders. Washington is hoping the bilateral discussions will be the first of many with Kim's government, eventually leading to the country surrendering its nuclear capabilities. That weapons program has become a threat to neighbors South Korea and Japan — and more recently, even for the U.S. mainland. Tuesday's meeting is seen as a diplomatic breakthrough, even if some "experts" have said the summit is a "strategic mistake" on Washington's part, since it "allows" Kim to "appear" as an equal to Trump.